Don’t lose your cool, even if your freezer has. Try these troubleshooting tips instead. Q: I’ve noticed that my freezer isn’t working as well as it used to. Is there any possibility of a quick fix instead of a big repair bill? A: The good news is, there’s a high probability that your issue can be both quickly diagnosed and easily fixed. 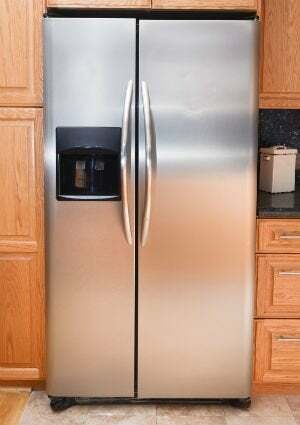 Because a typical refrigerator/freezer lasts 10 to 15 years before needing replacement, first consider your freezer’s age. If your appliance is well within that time frame and you’ve taken good care of it in general, you’re likely dealing with something simple, such as obstructed airflow, frost buildup, damaged gaskets, or dusty coils. Clear the shelves. First, check to make sure you’re allowing enough air to circulate throughout your freezer. 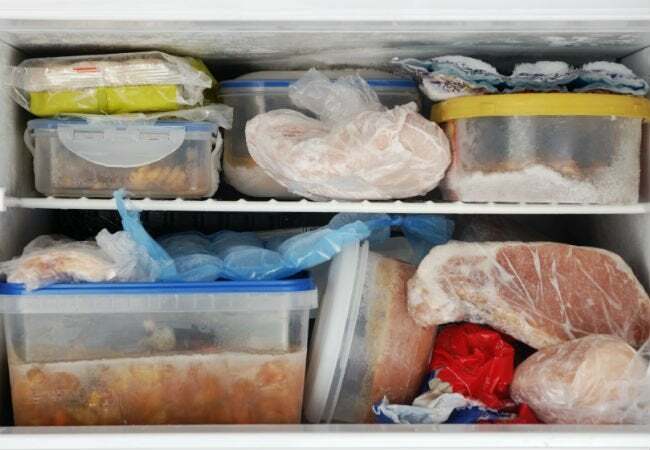 This may sound elementary, but a freezer that’s packed to the gills might be causing an airflow blockage, particularly if the evaporator fan is covered by a tub of ice cream or bag of vegetables. Rearranging or removing a few items may be all that’s needed to cool things down again. Break the ice. If your freezer isn’t overflowing and you have a manual-defrost model, take note of the amount of frost on the interior walls—the buildup could be affecting your unit’s efficiency. If you notice a great deal of those telltale ice crystals, or if it’s been more than a year since you last defrosted the freezer, a simple defrosting will probably do the trick, letting your vents and coils breathe again and continue to do their jobs. If you have an auto-defrost unit, thick layers of ice could be a solid indication that a part or two may need to be replaced by a professional in the near future. Check the seals. Another quick diagnostic involves checking your freezer’s gaskets (door seals) using the “dollar bill test.” Open the door, place a dollar bill flat against the seal, and close the door again. If you can easily pull out the cash, your seals are too loose. If, however, pulling the bill out requires a good deal of effort, the seals are probably fine. Be sure to test several sections of the gasket for good measure, and before you test them, wipe down any spills or debris that could be preventing them from locking together correctly. Clean the coils. Last but not least, dirty coils may be the culprit. If you’ve cleared out, defrosted, and seal-tested your freezer and all seems well, try pulling the unit away from the wall and vacuuming the coils with the crevice or brush attachment. As dirty coils can restrict airflow, a quick cleaning may be just the ticket to chill things out again. If none of these tips bring your ice cubes and frozen snacks back to their rock-solid consistency, it’s possible you have a larger issue on your hands and a repair call might be in order. Most likely, though, a bit of maintenance can return your unit to its optimal condition.